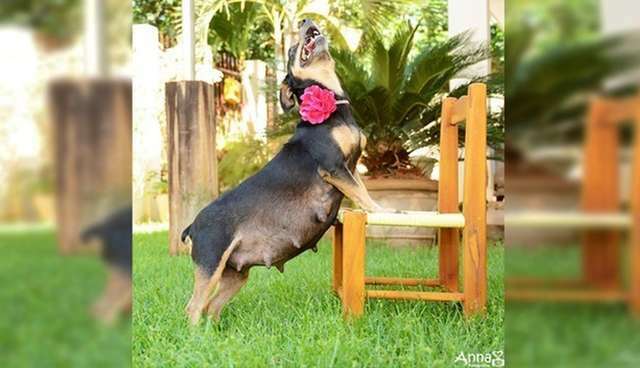 You might remember this sweet dog named Lilica who, earlier this month, was featured in an adorable set of maternity photos to commemorate her pregnancy. Well, she's back - and this time, she's got company. 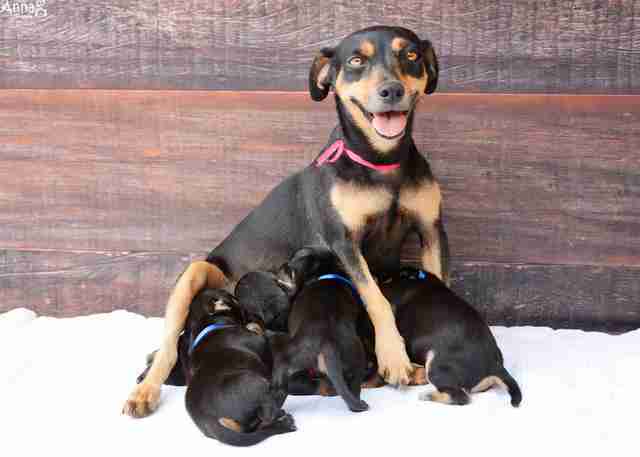 Not long after her photo shoot with Brazilian photographer Ana Paula Grillo, Lilica went on to give birth to a litter of five perfect puppies. 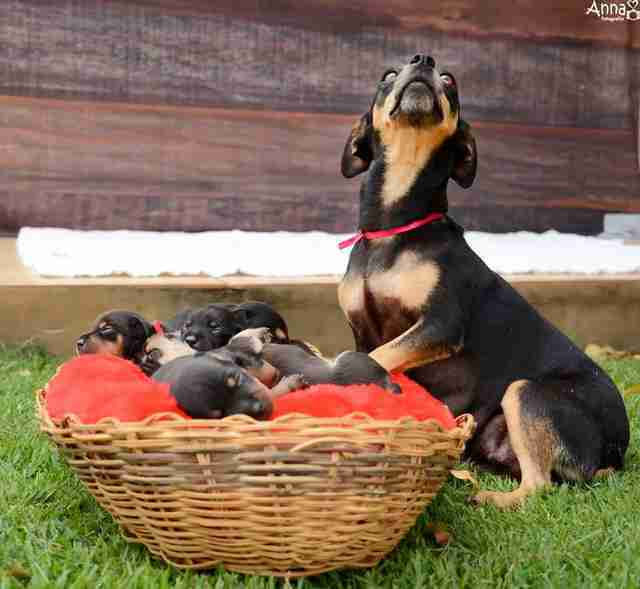 They, like their proud parent, couldn't be cuter. Grillo, who lives next door to Lilica's doting owner, says that she has proven to be an excellent mother, always making sure her little ones are well fed. Fortunately, these youngsters will continue to be cared for even after they've grown up. 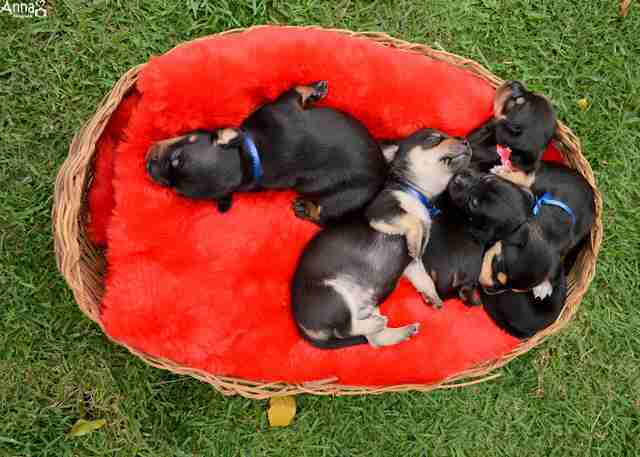 Each of the puppies have since been adopted by relatives of Lilica's owner. 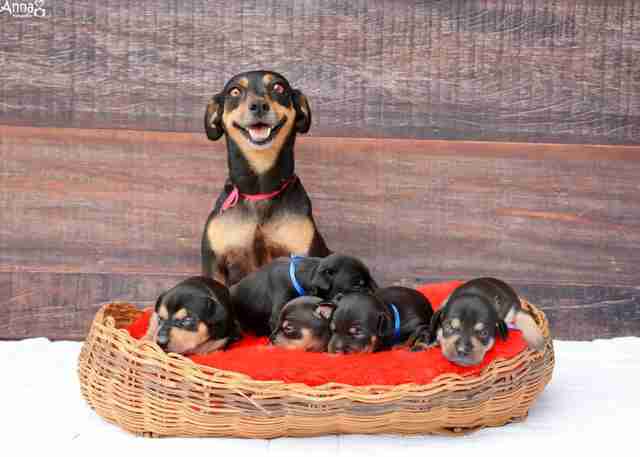 As cute as this puppy photo shoot is, we hope that it's Lilica's one and only, and that any future unplanned pregnancies can be prevented - for both her health and dogdom in general. 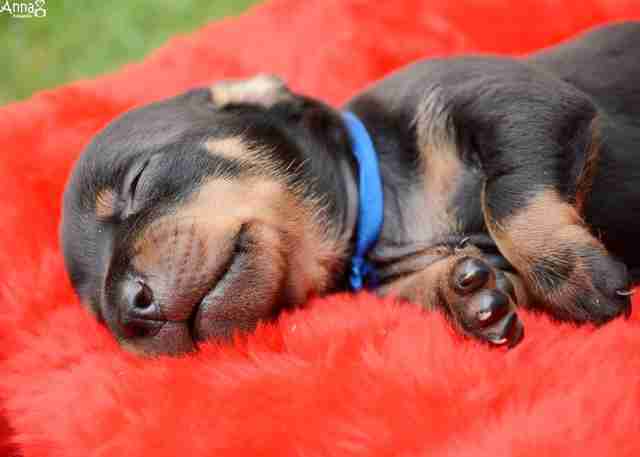 Spaying or neutering dogs can add years to their life, while also reducing the number of homeless or unwanted pets.